Cholesterol levels may affect how long it takes to conceive, a study that followed couples for one year suggests. The research, conducted by the US National Institutes of Health, suggests that high cholesterol is linked to lower levels of fertility in both men and women. 'From our data, it would appear that high cholesterol levels not only increase the risk for cardiovascular disease, but also reduce couples' chances of pregnancy', said lead author Dr Enrique Schisterman. 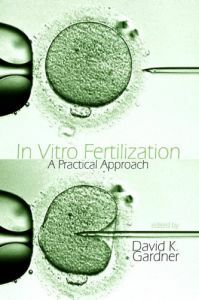 The study followed 501 couples in the USA who were trying to conceive and were not undergoing any fertility treatments. Scientists took blood samples and measured the total amount of cholesterol in their blood to determine their 'free cholesterol' level. They found that of the couples who did not conceive during the 12-month study period, both the man and woman had, on average, higher cholesterol levels. Couples in which the woman had a high cholesterol level, but the man did not, also took longer to achieve pregnancy compared to couples with normal free cholesterol levels. The free cholesterol test used in this research differs from the standard cholesterol test given by doctors, which measures levels of 'good cholesterol' (HDL) and 'bad' (LDL). However, Dr Schisterman said that high free cholesterol levels are likely to indicate an 'unfavorable' HDL to LDL ratio. The researchers believe that their findings may be explained by the role that cholesterol plays in the production of hormones such as testosterone and oestrogen. This is not the first time that a link between cholesterol and fertility has been found, with an unrelated study from 2012 showing that high cholesterol levels are linked with low sperm quality. However, this research found that high cholesterol in men only led to a longer time to pregnancy when their partner also had high cholesterol. Dr Enrique Schisterman said: 'In addition to safeguarding their health, our results suggest that couples wishing to achieve pregnancy would improve their chances by first ensuring that their cholesterol levels are in an acceptable range'. But Professor Neil McClure, a fertility specialist at Queen’s University Belfast, told the Daily Mail that couples should not solely focus on cholesterol levels, saying: 'The take-home message is that we need to be as fit and well and healthy as we possibly can if we are thinking about trying to conceive'.